My friend’s game is now available on Steam! It’s in the Early Access storefront which highlights games that are in current development. Kind of like Desura’s alpha funding system. To celebrate, I am giving away 4 Steam copies of the game. I don’t really know the best way to distribute them so just contact me on Twitter and we will figure out the gifting details. There’s a strangely-placed button in the right column what leads to my anemic Twitter presence. First four people who contact me will get Gnomoria! Others who contact me might receive a copy of The Ship or something. Some kind of sprawling gnome metropolis. 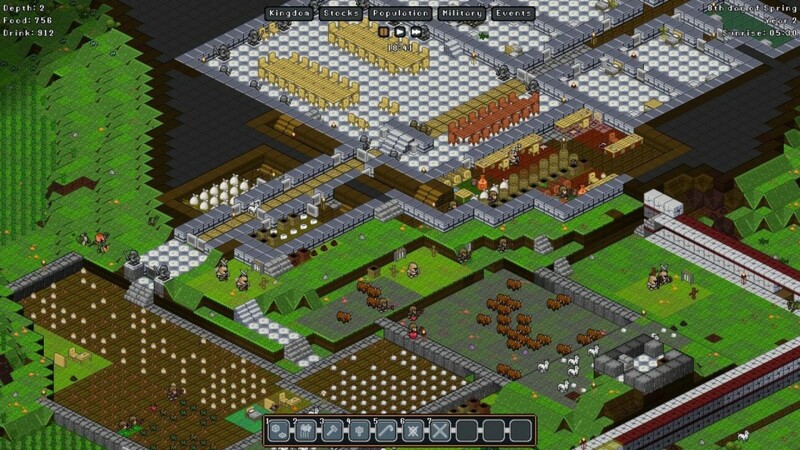 Like I’ve mentioned before, Gnomoria is a Dwarf Fortress-inspired simulation game where you can break down almost everything and rebuild it into something else. You set up homes and food for your little gnome guys then watch them run around doing whatever it is gnomes do. Also, outfit them with weapons and armor to protect themselves from invading forces. If you like sim games, give it a shot! Possibly for free if you get a copy from me!